Mortgage rates diverged today, but one key rate climbed. The average for a 30-year fixed-rate mortgage increased, but the average rate on a 15-year fixed held steady. Meanwhile, the average rate on 5/1 adjustable-rate mortgages were down. Mortgage rates are constantly changing, but they remain low by historical standards. If you’re in the market for a mortgage, it could make sense to go ahead and lock if you see a rate you like. Just don’t do so without shopping around first. Compare mortgage rates in your area now. 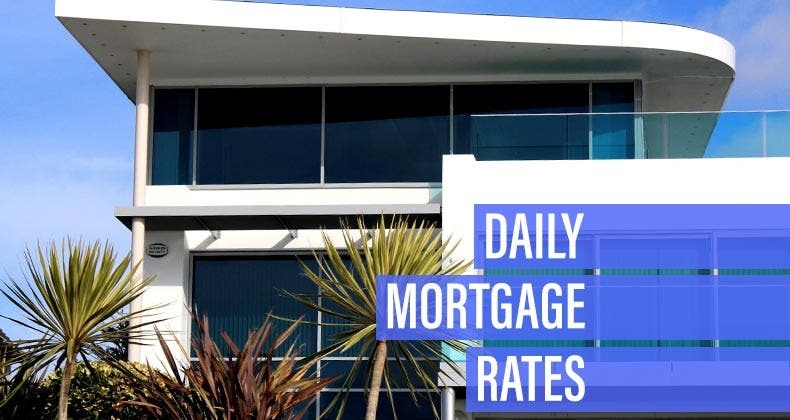 The average rate for the benchmark 30-year fixed mortgage is 4.10 percent, an increase of 7 basis points over the last seven days. A month ago, the average rate on a 30-year fixed mortgage was higher, at 4.32 percent. At the current average rate, you’ll pay principal and interest of $483.20 for every $100,000 you borrow. That’s an extra $4.05 compared with last week. You can use Bankrate’s mortgage calculator to estimate your monthly payments and see the effect of adding extra payments. It will also help you calculate how much interest you’ll pay over the life of the loan. The average 15-year fixed-mortgage rate is 3.49 percent, unchanged since the same time last week. Monthly payments on a 15-year fixed mortgage at that rate will cost around $714 per $100,000 borrowed. That may squeeze your monthly budget than a 30-year mortgage would, but it comes with some big advantages: You’ll come out several thousand dollars ahead over the life of the loan in total interest paid and build equity much more quickly. The average rate on a 5/1 ARM is 4.00 percent, down 2 basis points from a week ago. These types of loans are best for those who expect to sell or refinance before the first or second adjustment. Rates could be substantially higher when the loan first adjusts, and thereafter. Monthly payments on a 5/1 ARM at 4.00 percent would cost about $477 for each $100,000 borrowed over the initial five years, but could increase by hundreds of dollars afterward, depending on the loan’s terms. Last updated: April 10, 2019.